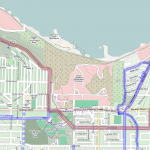 The new map created by the District of North Van for the Knee Knacker race has some serious flaws that limit its usefulness for navigation. 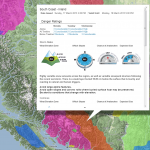 There’s a lot of misinformation about the newly downloadable BC TRIM maps in PDF formats. They are not “apps” and they are not a replacement for paper maps. 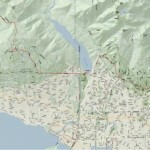 I put together a proof of concept to put the Canadian Avalanche Centre’s Avalanche Bulletins on an interactive, full screen Google Map. 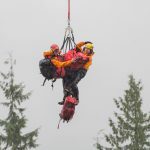 I prototyped a map for the BC Search and Rescue association and I’m expanding the project to include any Search and Rescue Team. People don’t know how to make their smart phone show their location, so I created a service that lets SAR track a person’s location via their smart phone. 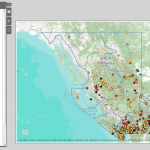 A map plotting the location of all of the SAR incidents in BC for 2011 and 2012, including the location of each team in BC. 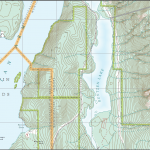 We came across this map of Pitt Lake in the SAR Archives the other day. Interesting for the place names that aren’t on more modern maps. Funny how the mountains look like cones. 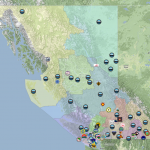 Google Map Maker is opened to Canada, and Google becomes a crowdsourced map. When you’e using OpenStreetMap, you’re using Crowdsourced data; in my experience, very accurate for urban searches.